Step into The Home Design Center of Florida and you will experience a one stop shop when it comes to kitchen design and remodeling. Experience the latest styles in kitchen, and flooring design from the industry's leading manufacturers. The showroom experience is created to be a one-on-one intimate interaction where our experts can give the time and energy each project deserves. Our customers come back to us for the same reason every time: the people. Not only do we offer experts to help you in your home remodel, but we set a purpose to have the proper amount of time to make sure the end result of each project exceeds the expectation of our customer every time. MEL-RY Construction offers a great selection of both craftsman and luxury built homes, with a 10-Year Limited Warranty on all built homes. With nearly three decades of experience as a Luxury home builder, Mel-Ry has managed a vast variety of residential construction and development projects. With several houses currently in the works, Mel-Ry Construction has always managed to deliver top of the line quality in all of their homes. With every detail of each project overseen and managed by Mel-Ry staff, it makes working with Mel-Ry a confident experience. Residential Green Building is here to stay, that’s why Mel-Ry follows the growing trends and opportunities in green home building. New information on green building in the residential construction sector offer higher energy efficient homes. 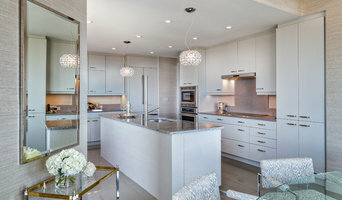 Whether it's new construction techniques, innovative products or services, or advanced technology, at Mel-Ry Green Building is a way of building for the future that will benefit every new homeowner. Mel-Ry Construction & Mel-Ry Realty Group has become one of the strongest, most reliable Companies in Florida. With over 27 years of experience, Mel-Ry has been giving the Florida Construction & Real Estate market homebuyers more experience, more impressive architecture, more outstanding features and more rewarding lifestyles in desirable locations throughout Florida. Welcome to Celtic Home Gallery! "From Inspiration To Creation" - Our motto and our mission. Here you'll find the best of everything for your kitchen, bath and home. We are General Contractors and will see your project through from the first spark of imagination all the way to completion. Our “One-Stop Shopping” approach allows ease of selection and saves the hassle of running all over to tie all the details together – Cabinetry, Countertops, Stone, Tile, Plumbing Fixtures, Fabrics, Wallpapers and all the accessories! We have our own fabrication shop and skilled craftsmen on staff. We invite you to visit our beautiful 5,000 square foot showroom located at 521 Old Dixie Highway, Tequesta, FL 33469. For more information, call 561-745-5650 - we look forward to working with you! Builders East is a culmination of over 35 years in the construction dedicated to providing the best product modern technology can offer. Service is paramount to everyone in the Builders East team and all share a belief that no project is complete unless the job is done right. Builders East was created on a foundation of talent, commitment, prudent planning and an undying dedication to quality. Builders East endeavors to build a successful business one satisfied customer at a time taking every possible measure to ensure project success and customer satisfaction. The Builders East owners and executive team principals are Robert Masseau and Mark Williams. The two principals bring a diversified and balanced combination of talent, creativity, integrity and a strong, hands-on management style. The diversification ensures flexibility and adaptability… both critical elements in translating design strategies into innovative and functional reality. Well established in both the commercial and residential development construction sectors, the company consistently reaches its goals of expediting on time and under budget project completion. Our Mission: Provide homeowners with a fair price quality renovation using trustworthy and clean crews for a timely and non disrupting completed project. 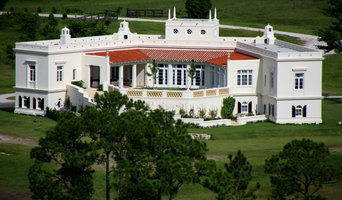 First Florida Development & Construction, Inc.
Masterpiece craftsmanship since 1975! Paul Kleinfeld, President of First Florida, remains steadfast in his belief that the cornerstone of every successful building project is first and foremost a focus on the owner's vision, plans, and desires. Additionally necessary is the in-depth knowledge to build with the best methods, materials and subcontractors. With 40 years of history and well over 100 years combined experience, First Florida Development and Construction is tried and true. Through the many market fluctuations, our foundational principles remained steadfast, continuing to be a beacon, guiding owners through the building process while providing an end product that is both built responsibly and yet exceeding expectations. All of this requires a committed and dedicated team with the highest standards and a cohesive value system. Although our commitment to serve our customers is what has set us apart as a builder of excellence, our reputation for financial accountability and transparency will always be above reproach in the communities that we serve. Every project is given the utmost attention with our proficient estimating team and project management . While it is always prudent to research builders, we are confident that you will not need to look any further once you have met owner and President, Paul Kleinfeld, and Vice President, Mark Duvall. As an added value to their knowledge and experience in luxury custom building, they are further defined by their character and integrity at a foundational level; where integrity is not just a word spoken, but a history that speaks for itself. All of this translates to the finish work of the masterpiece you will call home, along with the inherent trust you will enjoy in the process. Welcome to the experience of building or remodeling your home with First Florida Development and Construction; where the realization of your vision and your plans, is our mission. Give us a call today at (772) 209-3420 or click the "Contact Me" button to send us a message. We look forward to working with you. We are a Full Service Construction Company, focused on providing the highest quality in the industry. 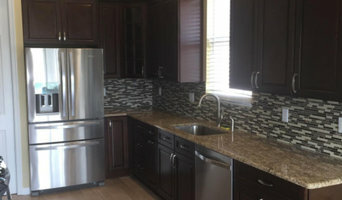 SPECIALIZING IN: Additions, Custom Kitchens, Bathroom Remodels, Interior & Exterior Painting, Windows & Doors, Trim Work & Crown Molding, Flooring Sales & Installation, Cabinet Sales & Installation, We are Reliable, Consistent, Dependable Committed to the BEST Committed to You Serving the Treasure Coast and Palm Beaches for over 10 years. Residential (new and remodel), equestrian and small commercial construction. Over 20 years of construction experience has given way to this venture we like to call Coventina Builders. Our mission is to provide you with an unrivaled buying experience, while building a truly distinctive product. At Coventina, we work to bring you a better product that will help us gain your trust and satisfaction. We are family owned and operated with 30 years construction experience and have been serving the Treasure Coast since 1990. We offer personalized service and pride ourselves on superior craftsmanship. Willoughby Construction is a builder serving the coastal, condominium, waterfront, gated and golf communities of the Palm Beaches and Treasure Coast. A specialist in the ultra luxury domain, the company delivers clients new construction, design/build, renovations and remodeling and construction management services. For more information, visit willoughbyconstruction.com. 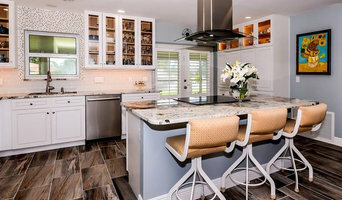 Bernhardt Building & Remodeling specializes in creating beautiful, custom new and remodeled homes, serving Martin and Palm Beach counties since 1995. We are known for our collaborative approach to building and our high level of client service. Please contact us; we'd be pleased to talk with you about your project. 772-546-8081, www.bernhartbuilding.com. Full service GC. New homes or remodel. Turn key white glove service from design to completion. General, or construction contractors, are often known as project managers. They oversee the entire remodeling or new home construction project and facilitate all day-to-day tasks that move it toward completion. A River Park general building contractor will work with your architect to review plan as you build a house and ensure everything is in place before work is started as well as arrange for permits and necessary inspections. While good local home improvement contractors in River Park will have the skills to handle certain tasks onsite, such as carpentry, he or she is also responsible for hiring subcontractors for the majority of jobs, such as electrical work, painting or plumbing. In addition, the general contractor should be on-site regularly to inspect the progress and resolve issues. Here are some related professionals and vendors to complement the work of general contractors: Architects & Building Designers, Interior Designers & Decorators, Landscape Architects & Landscape Designers, Kitchen & Bath Designers, Specialty Contractors. Home remodeling contractors are a must for successful completion of a renovation. Because of this, it's essential that you do your homework before deciding on the right general contractor in River Park as you remodel or build a house. Inspect bids carefully. Was it ready when the contractor promised it? Was the bid for building a home unusually high or low? Each of these things can be very telling: A late bid may reflect timing standards, and an off-the-mark bid could be code for a pricey premium or a deliberate underbid to score the remodeling job. You should call references, carefully read reviews and visit completed projects in River Park, FL to see if they’re what you expect for your job. Once you do secure your local River Park contractors, read the contract very carefully to be sure everyone is on the same page. Find a River Park contractor on Houzz. 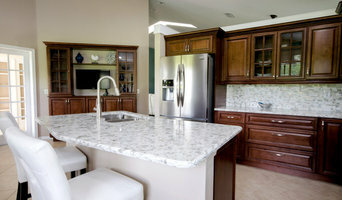 Narrow your search in the Professionals section of the website to River Park, FL home contractors. You can also search for photos in River Park, FL and contact the River Park general contractor who worked on the project.